See, I told you it was cute! 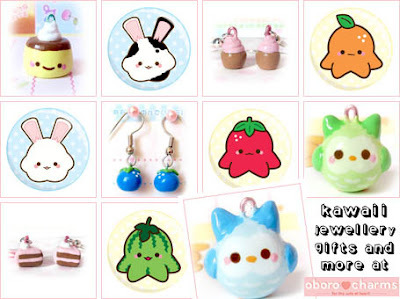 Oborocharms is a new kawaii shop that sells utterly adorable handmade jewellery and accessories. And when I say adorable, I mean adorable! The store sells earrings, necklaces, keychains, buttons, and charms - all of which are absolutely perfect for accessorising in kawaii style! And, as if that wasn’t enough of a treat for all you cute connoisseurs, there’s even the option to get your own custom made piece! Kawaii-tastic!